Werner Seebacher is a Steinbeis academic faculty member teaching at the Berlin School applied accouting. 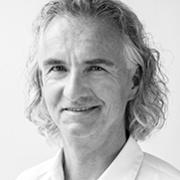 Werner Seebacher is the Managing Partner of Seebacher Management Consulting GmbH, which he founded in 2000. Werner studied business administration at the University of Graz, where he earned his master’s degree in 1988 and doctor’s degree in 1993 and served as a university lecturer. After working for a number of years as a freelance management consultant he founded his own company in 2000. Since 1999 Werner has served as a Professor for Financial Management at the Steinbeis Universiy in Berlin.